Forensic experts in Barnsley town centre after a stabbing on Saturday. 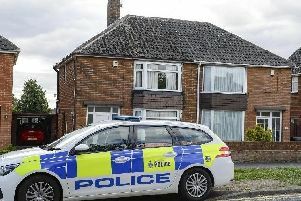 A woman has appeared in court over an attempted murder in Barnsley. Ayaan Ali, aged 28, was arrested after police raced to Barnsley amid reports a man had been injured in a knife attack in Bell Square. The town centre was placed on lockdown just as market traders and shops were opening for the Saturday morning rush. Ali was charged with attempted murder, affray and possession of an offensive weapon. She appeared at Barnsley Magistrates' Court and was flanked by two security guards during the short five-minute hearing. Wearing grey jogging bottoms and a jumper, Ali, of Isleworth, Middlesex, did not enter a plea and only spoke to confirm her name and date of birth. Prosecutor Chantelle Lowery-Green said: “This incident took place in the populated Bell Square area in Barnsley. “Here the defendant attempted to murder Andrew Fogurt and had a large kitchen knife in her possession. Ali was remanded in custody and the case was adjourned until October 8 for a hearing at Sheffield Crown Court.